As reported at NBC 4, Jesse Matthew has been charged with capital murder in the death of University of Virginia student Hannah Graham in Charlottesville, VA. The Albemarle County Commonwealth’s Attorney Denise Lunsford said Tuesday have upgraded the first degree murder charges against Jesse Matthew to capital murder. Lunsford said the new murder charge that she received “compelling evidence” from the state crime lab in February concerning the 2014 death of 18-year-old Hannah Graham. Although she did not release that information publicly. This now makes the case against Matthew a death penalty eligible case. 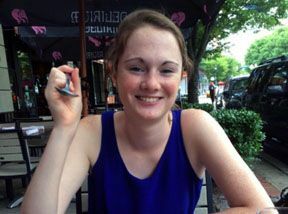 Graham, 18, disappeared last September 2014 after a night out with friends in Charlottesville, where the school is located. 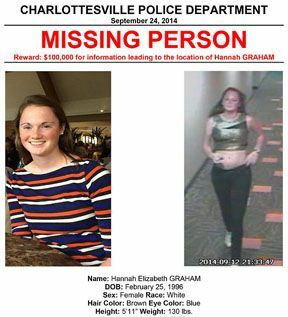 Her remains were found weeks later in woods several miles from the campus. Matthew is a suspect in another college student’s death, faces trial next month for sexual assault in northern Virginia. The Albermarle County Police Department and the county prosecutor are scheduled to hold an 11 a.m. ET news conference to discuss the case. The Albemarle County Police Department and the Albemarle County Commonwealth’s Attorney will be hosting a press conference on Tuesday, February 10th at 11 am. The press conference will be in Room A of the County Office Building located at 1600 5th Street, Charlottesville, Virginia. We will be providing an update in the Jesse Matthew case. Albemarle County Police Chief, Colonel Steve Sellers and Albemarle County Commonwealth’s Attorney, Denise Lunsford will be speaking at the press conference. Jesse Matthews Jr., suspect in Hannah Graham disappearance could be linked to 10 violent crimes against women in Virginia since 2002.